»» Download 4Videosoft Blu-ray Player for free! 4Videosoft Blu-ray Player ::: a computer program that allows users to play videos. Using 4Videosoft Blu-ray Player can watch videos and movies on the the most popular video formats. »» Download Access Boss for free! Access Boss ::: a computer program used to control access to the computer. Using Access Boss, you can restrict or limit the time that a user or group of users uses the computer. »» Download ApowerPDF for free! 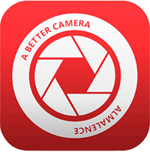 »» Download ApowerMirror for free! »» Download Apowersoft Screen Capture for free! Apowersoft Screen Capture ::: a computer program used to take screenshots. Using Apowersoft Screen Capture you can capture the full screen, a specific area of it or an active window. »» Download ApowerRescue for free! »» Download Hide Folder Ext for free! Hide Folder Ext ::: a computer program that allows users to protect data. »» Download 4Videosoft PDF Converter Ultimate for free! »» Download ApowerShow for free! ApowerShow ::: a computer program that allows users to create and edit video files. Using ApowerShow you can create collages, record videos or download videos from video sites. 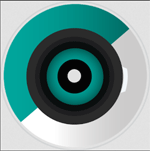 »» Download Video Converter Studio for free! Video Converter Studio ::: a computer program that allows users to convert audio and video files. Using Video Converter Studio can convert between video files in various formats.